We are currently not accepting new manuscripts. However, we offer editorial and design services to self-publishers year-round. However because we are a small company, we publish only a very few titles every year. We only publish books in the sphere of education, particularly English language teaching (although we are open to all areas of ESL/EFL including business English TOEFL Prep, IELTS prep, General ESL or EFL, EAP, ESP, or any other acronym you can think of). Quality is an important consideration as its the uniqueness of the title. As a small company, we try to publish books that are a bit different from anything else on the market. We also prefer to work with authors that have a well-established author platform and can be active in marketing their books. As a small company, we have a small marketing department and we do expect authors to work to promote their own books. So Why Publish with Us? We offer very competitive royalties. We prefer to give authors as much creative control as possible. We think our books should help teachers and students and we publish authors that have good ideas of how to do that. We don’t want to get in the way. Many of our authors are writing a book for the first time. We are prepared to explain every step of the process and try to make it as fun and engaging for you as we can. You’re publishing a book. That’s friggin’ awesome! Unlike the larger publishers, we never give up on a title. We will continue to market and sell your title even as newer titles are published. We are proponents of the Oxford Comma. We are generally descriptive more than prescriptive. We are totally cool with the singular, gender-neutral they and have few problems with nouns derived from verbs or verbs derived from nouns. 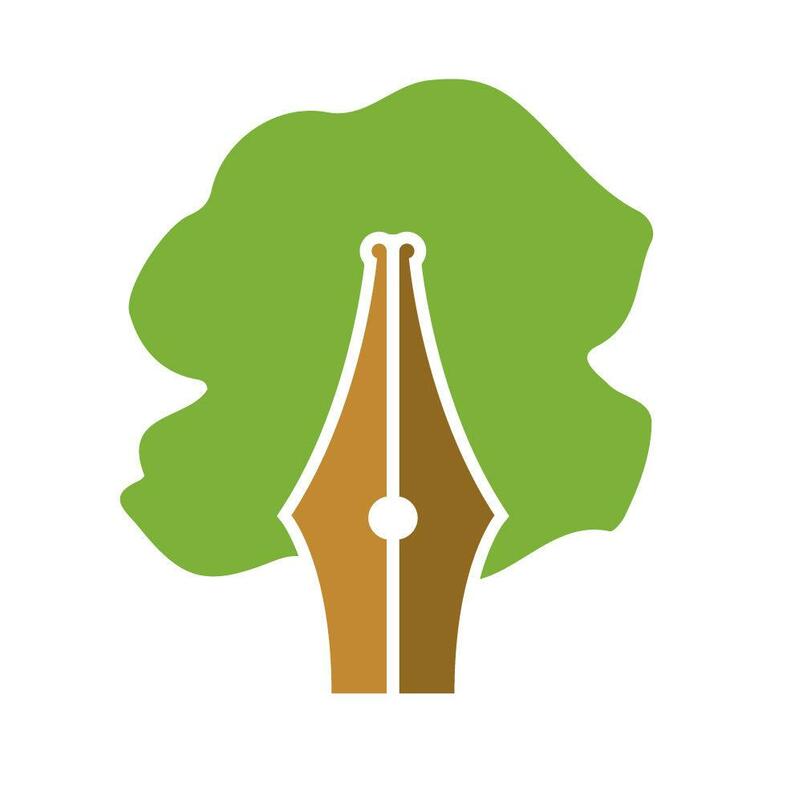 Our logo, a pen nib spilling ink, which is also a tree signifying growth, is way cooler than OUP’s or CUP’s or Macmillan’s. No one becomes a millionaire from writing a textbook. We do not have the infrastructure that the bigger companies have, so we do hope that you will join in marketing a bit including presenting about the book, writing articles, sharing on social media, and so on. You may have to edit or revise your book a few times. Our editors, graphic designers, and other professionals that we work with do have a say in the final product. This is a team effort and the people we work with have expertise in what works well and what sells. We always send edits and revisions back to you, and keep you in the loop about interior design and cover issues, so you have a lot more feedback and control than at larger firms, but no book goes to market looking 100% the way the author (or the editor, or even the publisher wanted at the beginning). Want to learn more about how we work? Click here.